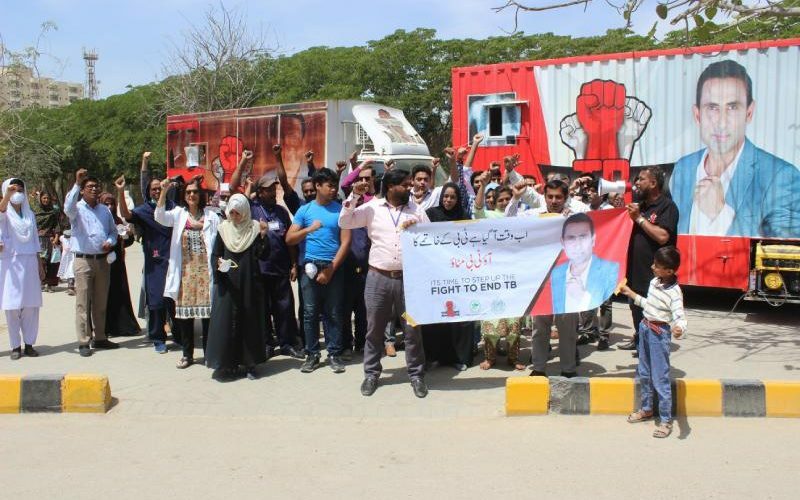 On March 26, 2019, World TB Day was celebrated at The Indus Hospital (TIH), Karachi. Pakistan has one of the highest burden of TB in the world, with over 500,000 new cases, and over 35,000 deaths annually. TB is an airborne disease and is linked with the lack of understanding, overcrowding, and malnutrition. On World TB Day, TIH conducted activities which were aimed at raising awareness among healthcare workers, as well as the general public within TIH and its immediate surrounding areas. To increase the TB-related knowledge, a few gaming and quiz activities were conducted for children. The morning programme was intended for doctors, nurses, and technical staff. The speeches were directed towards awareness of transmission of TB within hospitals and clinics, and its prevention through measures for infection control and reduction of transmission risk to healthcare workers and patients. Patients, their attendants and visitors were provided with information through posters and flyers. Health experts addressed the groups of patients and their attendants in the Filter Clinic and courtyard. The topics included: How to identify the Bug in the Lab; Red Alert! Treat correctly, or create Drug Resistance; TB in Children; It’s Time to Stop TB. Dr Naseem Salahuddin, Head of Infectious Diseases, IHN; Dr Farhana Amanullah, Chief Consultant and Head, Paediatric Nephrology; and Dr Sohail Akhter, Senior Consultant, Pulmonology spoke at the event. In the second half of the day, a walk was organised from TIH gate to Korangi Crossing and back. The staff, faculty, and visitors participated in the walk. TIH has extensive and far-reaching programmes to find, prevent, diagnose and treat TB. The diagnosis and treatment are done in a purpose-built outpatient clinic within the premises, which is managed by experienced doctors and nurses. Indus has also been a major stakeholder in carrying out Zero TB initiatives in Pakistan in partnership with public and private sector partners. The programme uses X-ray-based screening protocols, for mass screening in hospitals; community-based camps; workplaces; prisons; and any other areas/ populations identified as high-risk/ high-burden. Indus has three Programmatic Management of Drug-resistant Tuberculosis (PMDT) clinics, two in Karachi and one in Hyderabad. It also manages seven PMDT clinics in public hospitals across Sindh and Baluchistan. The TB programme is also utilising mobile vans fitted with digital x-rays for mass screening. 10 vans are currently active in Karachi and Lahore having screened over 70,000 patients between March and September 2017. During July 2017 to June 2018, over 1.5 million people were screened for symptoms and 4,311 were diagnosed with TB, of which 3,831 were started on treatment. Over 255,000 children were screened for TB while 3,264 children were diagnosed with TB and started on treatment.